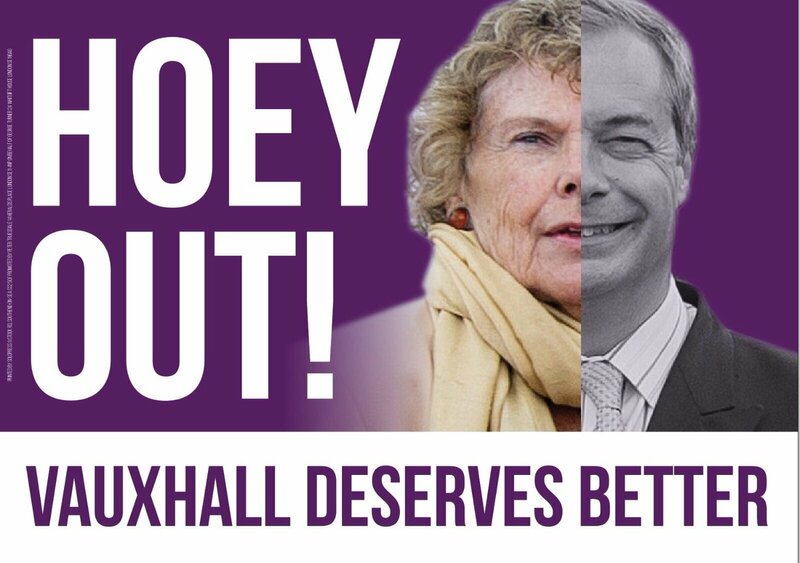 The Lib Dems in Vauxhall are giving Labour Party MP Kate Hoey hell for working with Grassroots Out during EU referendum. Hoey, who was the chair of Labour Leave, campaigned hard for Brexit and was – amongst other activity – involved in the famous Thames flotilla during the referendum. The Lib Dems are hoping to weaponize Hoey’s vocal support for leaving the EU in her Vauxhall constituency that voted heavily to Remain. A simple and powerful campaign message, aimed at tactical voting in London.